Non Alcoholic Fatty Liver – Yes, You SHOULD Worry! If your doctor has told you that you have a fatty liver, you’re not alone. Non-alcoholic fatty liver disease (NAFLD) is the most common liver disease in the USA. While you don’t need to panic, you must take it seriously. Read on to find out what to do about it. Some 65 million Americans have non-alcoholic fatty liver disease (NAFLD) and that number will reach 100 million by 2030, according to Scott Friedman, MD, of the Icahn School of Medicine at Mount Sinai Hospital in New York City. NAFLD is defined as the presence of macrovascular steatosis in the presence of less than 20 gm of alcohol ingestion per day. My mother (who was not an alcoholic) had NAFLD for several years, which eventually progressed into cirrhosis of the liver. Complications from cirrhosis eventually took her life. It is not known why some patients progress to cirrhosis. My mom’s very first sign of liver cirrhosis was edema – fluid buildup in the ankles, feet and legs. Until that time, her fatty liver had been asymptomatic, and neither she nor her doctor were particularly worried about it. If you have this, see your doctor and ask for a liver enzyme test! She mentioned this numerous times to her physician, who prescribed diuretics (water pills) to help flush out the extra water. My mother was not a drinker, but she was overweight, sedentary and pre-diabetic with high lipids (sometimes called Metabolic Syndrome or Syndrome ‘X’). Mom had been diagnosed with fatty liver some years before, but that is quite common, and had not set off any alarms. At this point though, her doctor should have done a simple liver enzymes blood test, as chronic edema is considered one of the early signs of liver decompensation. I imagine he assumed the swollen feet and ankles were caused by other, more common, benign factors. Ascities – fluid buildup in the stomach. In her case, the fluid was pushed by her diaphragm up into the lining around her lungs, and she began having a hard time getting a full breath of air. When she saw the doctor for this, he sent her for a chest x-ray that day. The x-ray indicated a problem, and mom was told to go to emergency immediately for more testing. She was admitted briefly to the hospital for a battery of tests, which ultimately confirmed she had cirrhosis of the liver. At that point, her cirrhosis was considered advanced. That was only the beginning of a two year nightmare, involving nearly all of the terrible symptoms of liver cirrhosis at some point or another. While there were some periods of time when her health would rally somewhat (my sister and I called these ‘reprieves’), the disease was unrelenting in its progression. Mom was in an out of the hospital, and eventually had a TIPS procedure to bypass the liver’s portal vein and help with the fluid buildup. It only helped for a few months. In the end, mom was admitted to hospice, where she suffered a variceal bleed (internal bleeding caused by increased blood pressure in the portal vein system). The presence of enlarged veins (varices) usually causes no symptoms … Until they bleed (called a variceal bleed). Then, it becomes an emergency. Sometimes a surgeon can tie off or cauterize the bleed. In my mom’s situation, she was already so weak and ill that her body would not have survived any kind of invasive medical intervention. Her variceal bleed proved to be fatal. I tell this story so that anyone who has been told by their doctor that they have fatty liver, can be proactive and work to reverse it. And believe me when I say you must reverse your fatty liver. Because NAFLD can progress into nonalcoholic steatohepatitis (NASH), the next stage of liver disease. And if you develop NASH, it means you have inflammation and liver cell damage, along with fat in your liver. Currently, 16.5 million people have the most serious subtype of NAFLD, non-alcoholic steatohepatitis (NASH), a number that will rise to 27 million, says Scott Friedman, MD, of the Icahn School of Medicine at Mount Sinai Hospital in New York City. NASH is usually a silent disease with few or no symptoms. Patients generally feel well in the early stages and only begin to have symptoms—such as fatigue, weight loss, and weakness—once the disease is more advanced or cirrhosis develops. The progression of can take years, even decades. The process can stop and, in some cases, reverse on its own without specific therapy. Or NASH can develop quickly, eventually worsening, causing scarring or “fibrosis” to appear and accumulate in the liver. As fibrosis worsens, cirrhosis develops; the liver becomes seriously scarred, hardened, and unable to function normally. Once serious scarring or cirrhosis is present, few treatments can halt the progression. A person with cirrhosis experiences fluid retention, muscle wasting, bleeding from the intestines, and liver failure. Liver transplantation is the only treatment for advanced cirrhosis with liver failure, and transplantation is increasingly performed in people with NASH. NASH most often occurs in persons who are middle-aged and overweight or obese. But not always. Below are the known causes of NASH. ◊Dyslipidemia is an abnormal amount of lipids (e.g. triglycerides, cholesterol and/or fat phospholipids) in the blood. In developed countries, most dyslipidemias are hyperlipidemias; that is, an elevation of lipids in the blood. This is often due to diet and lifestyle. †Insulin Resistance refers to a diminished ability of cells to respond to the action of insulin in transporting glucose (sugar) from the bloodstream into muscle and other tissues. Insulin resistance typically develops with obesity and heralds the onset of type 2 diabetes. All-cause mortality was higher in non-alcoholic steatohepatitis (NASH) than NAFLD (22.1% versus 14.5%, P=0.025) during the 14-year study period, reported Jake Mann, MD, from the University of Cambridge, and colleagues. Also over the 14-year study period, all-cause mortality was higher in patients with cirrhosis than those with NAFLD (53.1% versus 14.5%, P<0.001), the group stated at the European Association for the Study of the Liver (EASL) annual meeting. Congestive cardiac failure was seen in 3.8% of patients with NAFLD, in 9% of patients with NASH (P=0.01), and in 6.6% of patients with cirrhosis (P<0.05). Atrial fibrillation was observed in 4.9% of patients with NAFLD, in 8.2% of patients with NASH, and in 8.3% of patients with cirrhosis (P<00001). “We knew that patients with fatty liver disease were at risk of heart disease, but we didn’t know if that risk became greater as fatty liver disease progressed,” he said. He suggested that abnormalities in blood clotting and other factors that drive fatty liver disease are similar to those that are associated with heart disease. According to Clinical Gastroenterology and Hepatology, non alcoholic fatty liver disease (NAFLD) and cardiovascular diseases (CVDs) have common metabolic risk factors, and NAFLD is associated independently with an increased risk of cardiovascular diseases, primarily carotid atherosclerosis (narrowing or constriction of any part of the carotid arteries). Non alcoholic fatty liver disease (NAFLD) is an independent predictor of carotid atherosclerosis. There is a strong and independent association between NAFLD with both diabetes and pre-diabetes. A recent study published in the Journal of Hepatology found that non alcoholic fatty liver disease (NAFLD) was tied to an increased risk of hepatocellular carcinoma (HCC – liver cancer), colorectal cancer in men, and breast cancer in women. “These findings suggest that patients with NAFLD require multidisciplinary evaluation with attention given to the development of malignancy,” the researchers wrote. According to a 2015 study in the journal PLoS One, non alcoholic fatty liver disease (NAFLD), may be an independent risk factor for hypertension, according to a study of more than 1,500 Korean adults. The study found that NAFLD was positively associated with baseline blood pressure, insulin resistance, urinary albumin/creatinine excretion, and high sensitivity C-reactive protein. “Our findings suggest that fatty liver index, a simple surrogate indicator of fatty liver disease, might be useful for identifying subjects at high risk for incident hypertension in clinical practice,” the authors wrote. Clinicians have long recommended weight loss to fatty liver patients on the assumption that it could be very helpful. 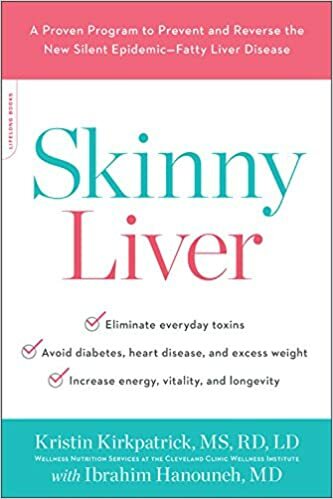 But only recently have studies begun to demonstrate just how powerful losing weight can be, said Dr. Amy Kim, a hepatologist and assistant professor at Johns Hopkins School of Medicine. In a recent study published in the journal Gastroenterology, scientists recruited 293 patients and looked at what happened when they followed exercise and diet programs for a year. The patients all had an advanced form of fatty liver disease in which the liver becomes scarred and inflamed, known as nonalcoholic steatohepatitis, or NASH. Among those who lost 10 percent or more of their body weight, “90 percent had resolution of NASH, and 45 percent had regression of fibrosis,” or scarring, the authors reported. “The more weight loss there is, the better the improvement,” she added. Some people choose to follow specific diet plans. 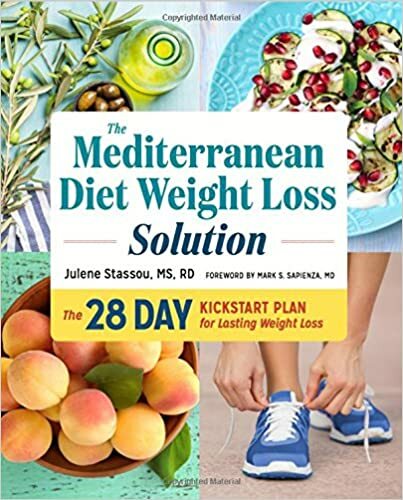 As someone who has done much research on liver disease, I recommend the Mediterranean diet because of its anti-inflammatory properties and the level of satisfaction it offers (but any healthy diet which works for you is fine). A study in Advanced Biomedical Research found that garlic powder supplements appear to help reduce body weight and fat in people with fatty liver disease. You can add garlic powder to your cooking or take a garlic supplement. A review of current research suggests that omega-3 fatty acids improve liver fat levels and HDL cholesterol levels in people with fatty liver disease. More research is needed to confirm this, but eating foods high in omega-3 fatty acids may help lower liver fat. These foods include salmon, sardines, walnuts, and flaxseed. You can also take an omega-3 fatty acid supplement. 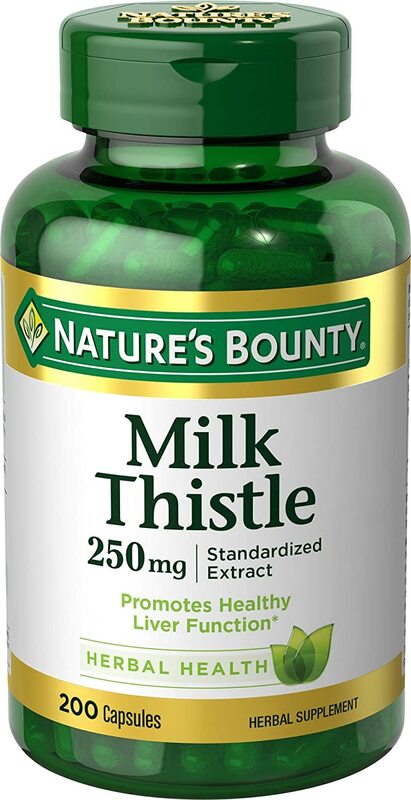 “Silymarin appears to be effective to reduce the biochemical, inflammatory and ultrasonic indices of hepatic steatosis. Some parameters indicative of early stage of atherosclerosis were also lowered”. Drinking coffee is a morning ritual for many people, but there may be more to it than a quick pick me up. As a report in Annals of Hepatology pointed out, coffee contains chlorogenic acid, which is a potent compound known to have antioxidant and anti-inflammatory properties, which appear to help protect the body from non alcoholic liver disease. It also helps to reduce cholesterol and hypertension. A 2016 meta‐analysis published in Alimentary Pharmacology and Therapeutics shows that an increase in daily coffee consumption of two cups is associated with a near halving of the risk of cirrhosis. This is a large effect compared to many medications used for the prevention of disease. For example, statin therapy reduces the risk of cardiovascular disease by 25%. Furthermore, unlike many medications, coffee is generally well tolerated (and enjoyed! ), and has an excellent safety profile. Eating a variety of whole vegetables is helpful for fatty liver disease, but broccoli could be particularly helpful. An article in the Journal of Nutrition found that long-term consumption of broccoli helped prevent the buildup of fat in the liver of mice. Researchers still need to conduct more studies on humans, but this early evidence looks very promising. Of course, if you don’t like broccoli, there’s a supplement for that, too! Using tea for medicinal purposes is a practice that goes back thousands of years. As recent research in the World Journal of Gastroenterology suggests, green tea especially may help reduce body fat percentage and fat in the blood. The higher antioxidant levels in green tea may be helpful for the liver, as well. You can drink green tea, or take a green tea supplement for a more concentrated dose. While tree nuts are a great addition to any diet plan, walnuts are especially high in omega-3s. A report from 2015 found that eating walnuts improved liver function tests in people with non-alcoholic fatty liver disease. Avocados are rich in healthful fats but also contain anti-inflammatory nutrients and soluble fiber, which can help reduce blood sugar and oxidative stress in the body. As a review in the Journal of Gastroenterology and Hepatology noted, some proteins can help protect the body from fatty liver disease. Soy protein and whey protein appear to help balance the effects of simple carbohydrate intake and can reduce blood sugar levels. They also help the body retain muscle mass and reduce overall weight. Exercise will help you to lose weight and maintain a healthy weight. It’s also good for your cardiovascular fitness. Aim for at least 30 minutes of exercise most days of the week. If you’re trying to lose weight, you might find that more exercise is helpful. But if you don’t already exercise regularly, get your doctor’s OK first and start slowly. I find walking to be the perfect exercise; it’s pleasant and easy on the joints. I use a treadmill at home when the weather doesn’t allow for an outside walk. I feel that my treadmill has been a real boon for my fitness and weight loss efforts (and saved my sanity on many a day). Do whichever exercise works best for you, but make it a regular part of your lifestyle. Follow your doctor’s instructions to stay in control of your diabetes. Take your medications as directed and closely monitor your blood sugar. Be vigilant. Follow your doctor’s advice and take any prescribed medications to keep your cholesterol and your triglycerides at healthy levels. If you are living with fatty liver disease, learn as much as you can about your condition, and do all you can to heal your liver and reverse the condition. Work closely with your doctor. Since many medications can harm your liver, always let all your health care providers know about any medications you are taking. These include OTC drugs, dietary supplements, and vitamins. ¹Source Reference: Mann J, et al, “The burden of cardiovascular disease and mortality across a spectrum of non-alcoholic fatty liver disease: A 14-year follow-up population study of 929,465 individuals” EASL 2015; Abstract G12. ²Source Reference: Yao He et. al. “Association of NAFLD with diabetes and the impact of BMI changes: a 5 years’ cohort study based on 18507 elderly.” J Clin Endocrinol Metab online Jan. 16, 2017.